Not everyone likes speaking in front of crowds. It brings back memories of your college public speaking class. You’re sweating and your knees buckle, so why would you do it? Speaking engagements at leading conferences give brands added exposure and marketing executives a chance to establish their companies as thought leaders within the industry. 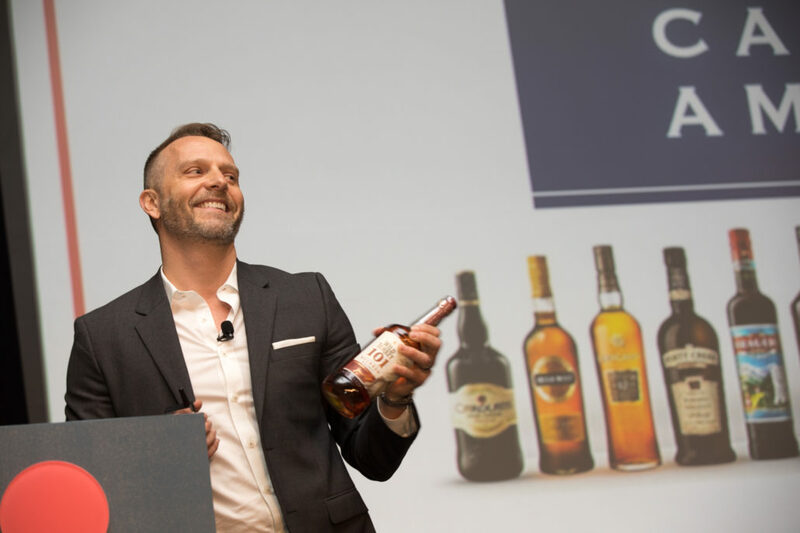 This year, Benson secured five speaking opportunities for Campari America executives at leading marketing conferences including iMedia’s Brand Summit, Brand Innovator’s Brand Week and Argyle’s Leadership Summit. Now, Campari America’s Dave Karraker, vice president of engagement and advocacy, is joining the ranks of esteemed executives (you may recognize names from Google and Visa) to speak at November’s ad:tech conference, a leading two-day marketing and advertising technology conference in New York. This is the conference where today’s top marketers go to exchange notes on the latest marketing trends and advertising innovations. This year’s conversation will focus on how technology has completely transformed the marketing landscape, empowering consumers and forcing brands to re-think how to deliver valuable content. The event schedule is so compelling that our team members will be attending (hint: there will be another post with the inside scoop, so stay tuned). “Guilt (Gilt) by Association”—This isn’t the same guilt by association for being friends with that bad kid in the class. Think of it as ‘shining’ among other leaders in your field. Speaking amongst these high level executives associates you with a class of thought leaders. Other consumer brand executives want to hear your perspectives on marketing wines or spirits. You have great ideas; share them! Media Coverage—Some conferences are held by media outlets, which means they are covering the event and as a participant your brand can be incorporated into press coverage. In addition, some conferences invite top-tier media to attend or speak on select panels and keynotes. It’s Free – You read that right. Many conferences are willing to pay for your flight, hotel and even provide meals (and not gross ones). If you’re thinking about where to start, take a look at Direct to Consumer Wine Symposium. It’s a combination of marketing and wine so you get the best of both worlds. We want to help you speak to other brands and executives, don’t be shy!